On the back cover you will find two dolls-Sarah and Hannah. Carefully push out the dolls and their stands from the back cover. Fit the stand into the slots at the bottom of the press-out doll so that up. On the inside pages,just press out the dolls,clothes and accessories. To dress the doll,Simply fit the clothes tab into the slots on the doll. 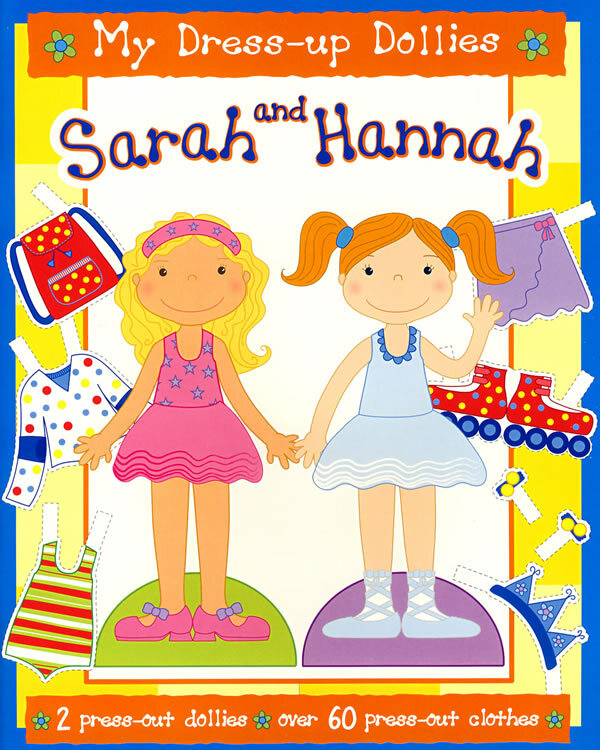 Read the next page to find out which clothes Sarah and Hannah wear.Most of the Clothes will fit both dolls if they want to swap!